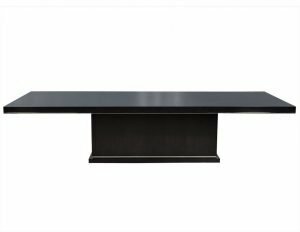 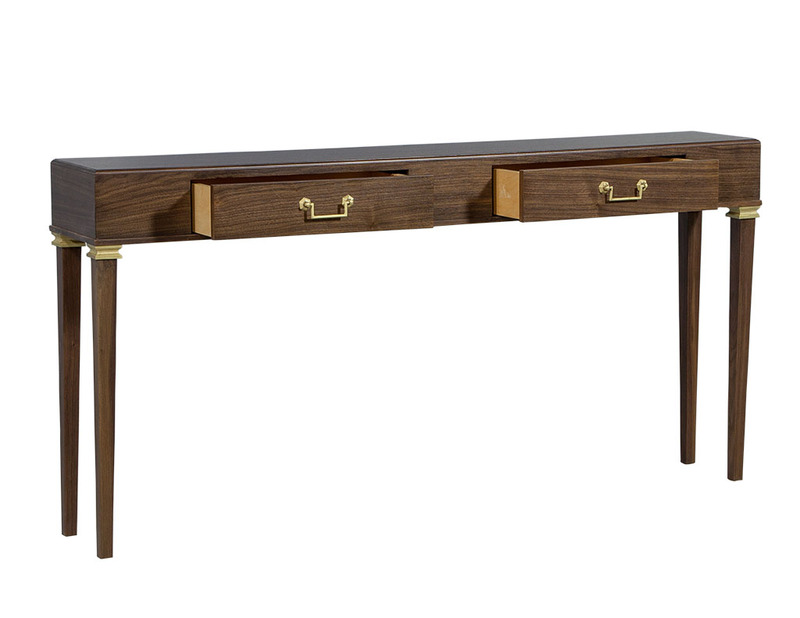 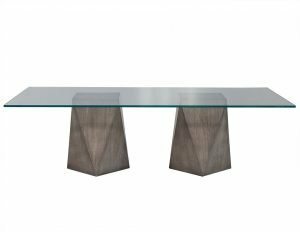 This traditional style console is sleek and stylish. 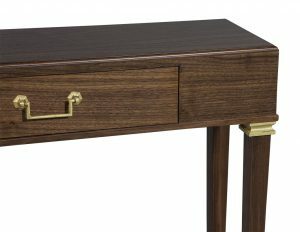 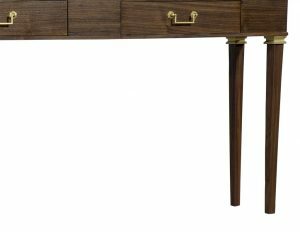 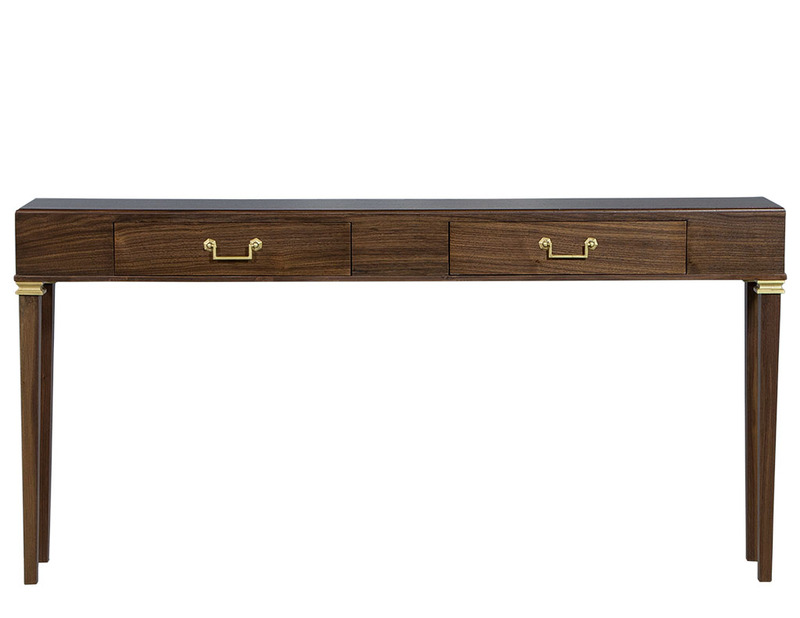 Crafted out of walnut with two front facing drawers, this piece is accented with brass handles and hand-painted detail on the top of the fluted legs. 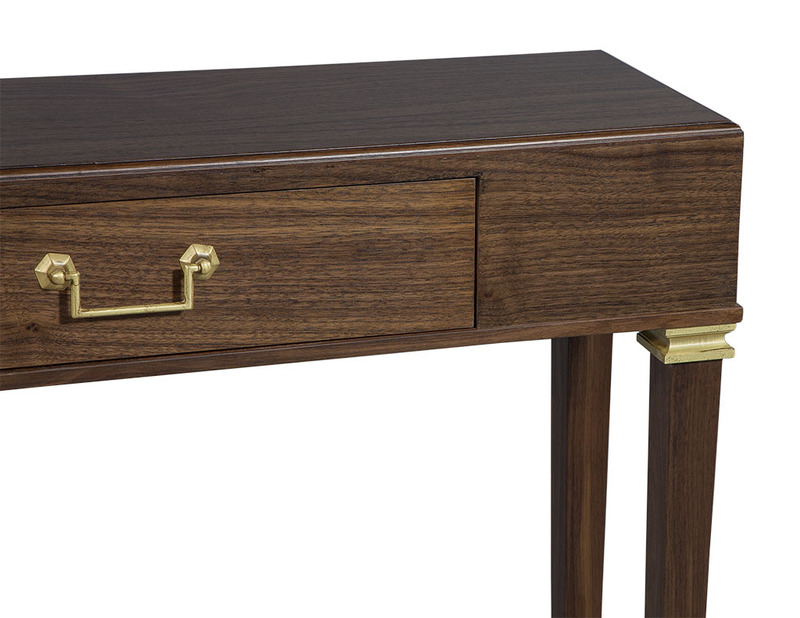 The finish is a warm brown stain, making this an easy match for any living area or office!